Councils are failing to adapt the homes of disabled people within the one year legal limit, a new report from the charity Leonard Cheshire Disability has found. The Long Wait For A Home report shows that nearly two thirds (62 per cent) of councils failed to carry out necessary adaptations on homes within the legal one year time limit, and almost half (44 per cent) of councils are making disabled people wait more than two years to carry out essential work which would prevent illness and injuries from unsuitable homes. The charity’s findings are based on Freedom of Information requests from 245 housing authorities. The charity also found that demand for home adaptations has risen 6 per cent since 2011/12, while the number of Disabled Facilities Grants (DFG) paid has gone down by 3 per cent in the same period. Figures show that each year 2,500 disabled people wait over one year to get vital funding to make their homes accessible. A survey carried out by Leonard Cheshire Disability, in partnership with the College of Occupational Therapists found that 96 per cent of occupational therapists agreed that home adaptations reduce the need for social care. As part of its Home Truths campaign, Leonard Cheshire Disability has found that thousands of disabled and older people are trapped in unsuitable homes, and unable to move around freely. Many people are confined to a limited number of downstairs rooms and face the daily nightmare of washing in their kitchen, sleeping in their living room, using a commode for a toilet, and are unable to get in and out of their front doors. Inaccessible housing can lead to physical injuries and mental health problems, and increases the demand for social care for people who need help to wash and cook due to constraints in their home. It is cost effective and relatively cheap for councils to adapt homes to make them accessible, and to build more disabled-friendly housing, compared to the cost of paying for social care. 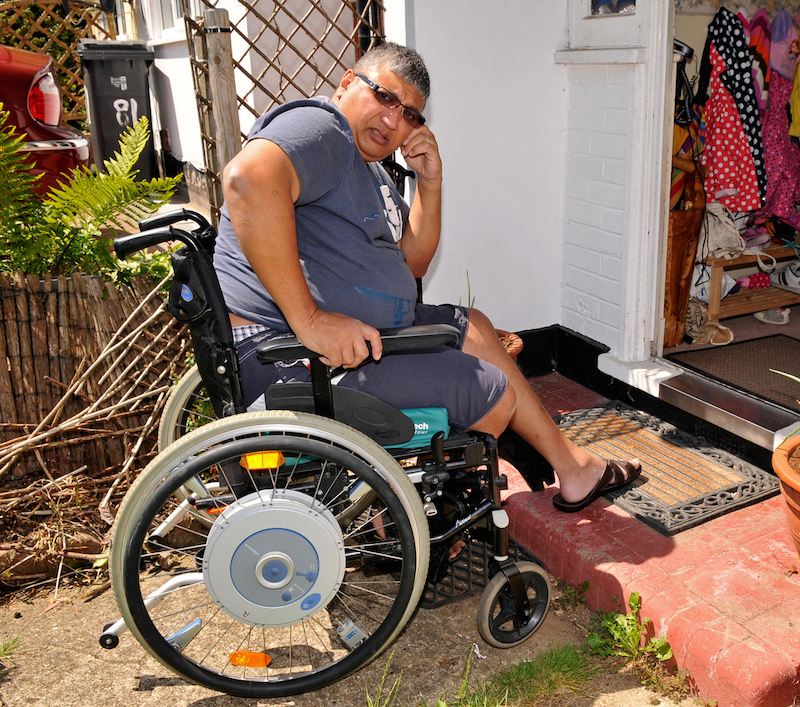 Adam Lotun, 51, is a wheelchair user who became disabled following an accident at work. He has waited over ten years for a home which is safe for him to live in. This is despite being moved into a housing association home which he was told could be easily adapted to meet his needs. Adam was initially told he would receive DFG funding for a wet-room and kitchen extension so he could use them both in his wheelchair. However, the council later refused the work, saying he would have to pay up to £100,000 out of his own pocket – substantially more than he and his family can afford. Leonard Cheshire Disability is calling on central government to increase funding available for local councils, and for councils to up their spending for adaptations to ensure that all disabled people receive grants within the legal time limit. The charity also wants all new homes built so they are easy to adapt (known as Lifetime Homes) if people become disabled, and 10 per cent of large developments to be fully wheelchair accessible so that disabled people can live independently and safely. Be the first to comment on "Councils failing to make homes safe for disabled people"